"Doctors have always been faced with the care and management of a woman who develops serious illness when she is pregnant. Unfortunately, in these cases, because delivery has to be brought forward, the baby may lose his or her life. No doctor in Ireland has ever been accused of wrong doing for intervening in this way to save a mother's life. This intervention is not the same as performing an abortion which deliberately ends the life of the unborn child. There has been a lot of debate about the need to remove the Eighth Amendment to the Constitution in the interest of women's health. The amendment does not restrict doctors from acting to save a woman's life when a serious complication arises in pregnancy. The number of mothers who lose their life during pregnancy in Ireland is lower than it is in the UK and considerably lower than in the United States. People can be assured that Ireland is a very safe country to have a baby. This goes against the clear duty of a medical doctor to 'first do no harm' and a fundamental call to preserve life, not to end it. The health issue in this debate is being used as a lever to broaden the grounds for abortions which are not related to health. 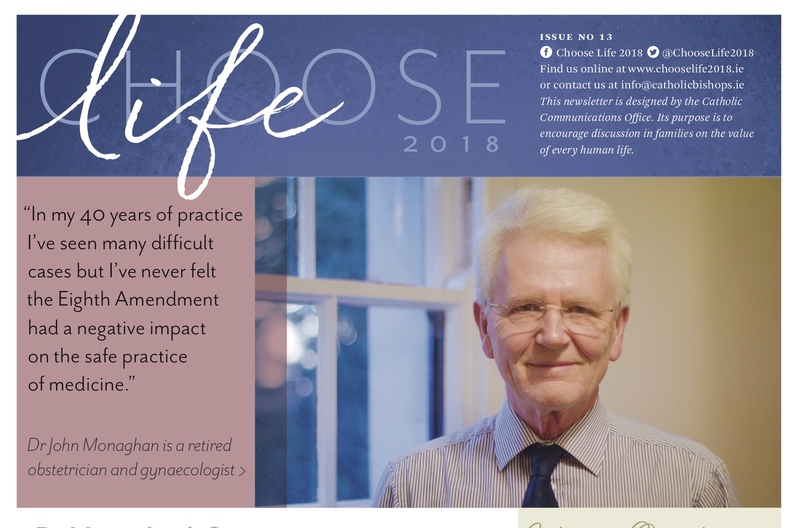 In my 40 years of practice in obstetrics and gynaecology I have seen many difficult cases but I have never felt that the Eighth Amendment had a negative effect on the safe practice of medicine." For full edition of Choose Life - Issue 13 click here.